Harriet Tubman Middle School was originally built in 1951 with a significant addition in 1983. The building is 98,000 gsf and composed of five major buildings. The project’s design-build construction delivery had a high level of collaboration and daily coordination. The fast-tracked renovation included the following upgrades: full mechanical equipment replacement, extensive seismic upgrades, and full roof replacement over all five major building areas. 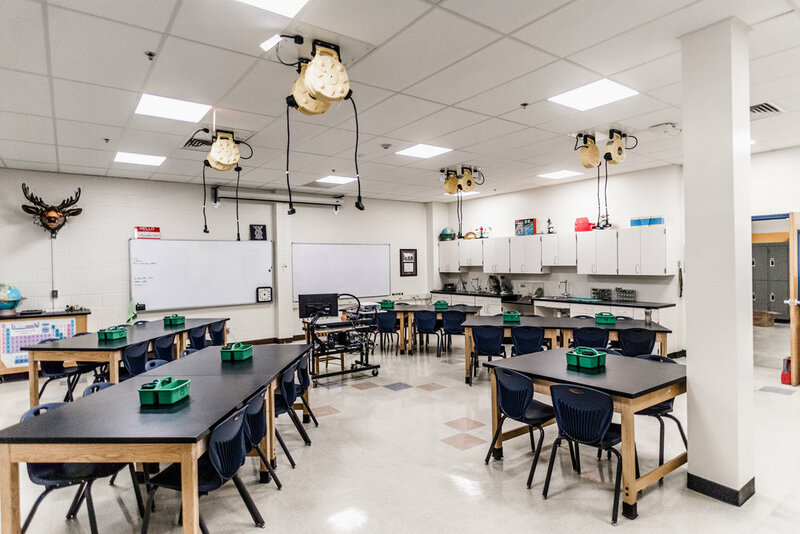 The renovation also added science classrooms, special education facilities, and a dance studio. The library received a thorough renovation and there were acoustics upgrades, replacement of finishes, way-finding improvements, ADA upgrades, and storm-water facilities incorporated throughout the school.